Opera Santa Barbara was founded in 1994 by Marilyn Gilbert and Nathan Rundlett with the goal of bringing the highest caliber of opera to Santa Barbara. During the past 19 years the organization has presented 48 operas and has provided thousands of hours of educational programs to the community. The quality of our productions has consistently improved, and we have established a solid base of opera lovers in Santa Barbara and Ventura counties. Opera Santa Barbara contributes to the cultural enrichment of our audiences by presenting exciting, high-quality productions and community programs that celebrate the breadth and beauty of opera. Opera Santa Barbara aspires to be a destination opera company, producing a diverse repertoire of traditional and contemporary operas that engage and excite a broad audience. 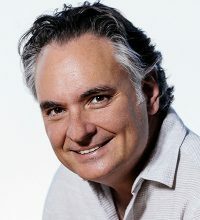 Kostis Protopapas was named General Director of Opera Santa Barbara in December 2017, after two-and-a-half seasons as Artistic Director. Under his leadership the company ended the 2017-18 season with an operating surplus, while gaining acclaim for the mainstage productions of Manon and The Barber of Seville, and breaking new ground with staged productions for both the Santa Barbara Youth Opera and the Chrisman Studio Artists. During his time as Artistic Director and principal conductor, Kostis brought a unified vision to OSB’s musical and production values, strengthening the orchestra, chorus, engaging some of the country’s most promising young directors and singers, and building a high-performing production team. The result was productions of both familiar and new repertoire that are counted among the finest in the company’s history. In the company’s 25th anniversary season, Kostis oversees three mainstage productions, including new productions of Tchaikovsky’s Eugene Onegin and Ward’s The Crucible, a 25th anniversary gala concert, the company’s first-ever student matinee production, as well as productions featuring the Santa Barbara Youth Opera and the Chrisman Studio Artists. In addition to successful mainstage performances, under Kostis’ leadership Opera Santa Barbara saw the creation of the Santa Barbara Youth Opera, a program providing educational and performance opportunities for school-age children, the expansion of the company’s Studio Artists program to a season-long residency, and an impressive geographic range covering much of the Central Coast in the company’s outreach and educational activities. Between 2002 and 2008 Kostis was also an Assistant Conductor for the Lyric Opera of Chicago, LA Opera and Santa Fe Opera. At the Lyric Opera of Chicago, he also served as Assistant Chorus Master under Donald Palumbo for two seasons. Kostis started his career on the music staff of Virginia Opera and Opera Memphis; he conducted at Opera in the Ozarks every summer from 2000 to 2004; has been a regular guest conductor at Union Avenue Opera in St. Louis since 2007 and a guest conductor for the Des Moines Metro Opera, Opera Columbus, Shreveport Opera, El Paso Opera, Winter Opera St. Louis and the Westmoreland Symphony. Born in Athens, Greece, Kostis Protopapas studied Archaeology and History of Art at the University of Athens before coming to the United States in 1993, on an Onassis Foundation scholarship, to study piano at The Boston Conservatory and conducting at Boston University. He became an American citizen in 2011 and splits his time between Santa Barbara and Chicago, with his wife, soprano and stage director Cathleen Dunn-Protopapas, and their four cats, Gus, Miles, Zsa-Zsa and Gigi. Marylove Thralls previously served as a marketing and development associate at Opera Santa Barbara before being named an adjunct professor at Santa Barbara City College. She has been involved in the performing arts her entire adult life – first in New York, then Tulsa, where she was marketing director for Light Opera Oklahoma and a member of the Tulsa Opera Chorus for several years. Just prior to moving to Santa Barbara in 2003, her chorus master at Tulsa Opera was Kostis Protopapas. Marylove has sung with Opera Santa Barbara, the Music Academy of the West Summer Festival Opera Chorus, and the Santa Barbara Choral Society. A member of the City Arts Advisory Committee, Marylove serves on the Board of Santa Barbara Revels and the Performing Arts Scholarship Foundation. She has a master's degree in human relations from the University of Oklahoma and is the author of three books. 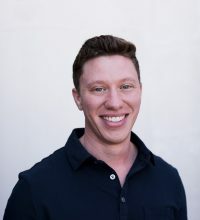 Zach Mendez joined the Opera Santa Barbara team in February 2018. A native of Dallas, he moved to Santa Barbara in 2015 to begin his graduate work at UCSB. 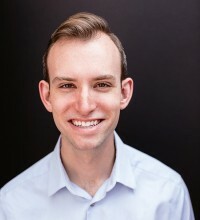 Zach has appeared multiple times as a chorus member and soloist with Opera Santa Barbara, and he has sung roles with the UCSB Opera Theater, the California Opera Association, and the Channel Islands Chamber Orchestra. 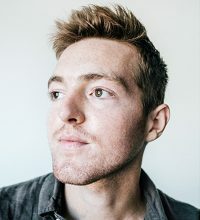 Zach has been featured in concert throughout the United States and in Europe as a young artist in programs including the Amalfi Coast Music Festival, Accademia Vocale Lorenzo Malfatti, the American Institute of Musical Studies (AIMS), and SongFest. Zach is an active member of the artistic community in Santa Barbara. He sings weekly at the Old Mission as a Mission Schola member and parish cantor. He is also an instructor at the Adderley School for the Performing Arts and the Santa Barbara School of Music. His experience in the classical music industry and his love of visual art inspired him to start working with a camera. Zach specializes in portrait, lifestyle, and fashion photography, and he is represented by TGS Talent in LA. In 2018 his work was in the top 8% of images chosen to make the finals of the Photographer’s Forum annual college photography competition. His images have been published in Photographer’s Forum, OzShot Magazine, Voice Magazine, and the Santa Barbara Independent. Zach holds a Masters of Music from the University of California Santa Barbara and a BFA in voice and drama from Carnegie Mellon University. Joyce Familara is a content editor and writer currently based in Santa Barbara, CA. Originally from Los Angeles, she first came to Santa Barbara as an undergrad at UCSB. Originally pursuing a career in publishing, she worked as a copy editor for sports and culture website, Bleacher Report, and as an assistant for a business to government publication in Santa Barbara. She was a contributing writer at MARY, the online literary journal for Saint Mary’s College and recently a participating artist for the exhibition Aesthetic Blitz, curated by Kelsay Meyers for the Asian American Women Artists Association. Joyce has worked for a variety of small businesses in digital and content marketing. Her recent work has focused on blog management and writing for the landscape design community including Eye of the Day Garden Design Center and Montecito Landscape. 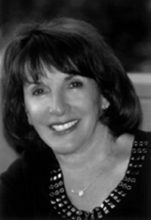 Joyce holds a Master of Fine Arts in Creative Writing – Non Fiction from Saint Mary’s College of California and a BA in English and Law & Society from UCSB. Lex Benes joined the Opera Santa Barbara team in August 2018. He worked previously as an Office Manager for Montessori Center School Santa Barbara and as a Clinician for Lindamood-bell Learning Processes, where he taught reading and comprehension to students with learning disabilities. Lex was a Finalist in the 2016 Music Theory Scholarship Competition, hosted by the Music Association of California Community Colleges in San Diego. He joined the Dell’Arte International School of Physical Theatre in January of 2017 for a month-long trip to Bali, Indonesia, where he studied the art of mask making and dance. Since his return, Lex has become an active member of the artistic and educational communities in Santa Barbara. He performs weekly with Gamelan Sinar Surya, a Santa Barbara arts organization dedicated to preserving, teaching, and performing traditional Gamelan music from Northwest Java (Cirebon), Sunda, and Malaysia. Lex is interested in multi-sensory approaches to learning, and its application to the study of Music Theory and Cognition. He holds a Bachelors of Arts in Comparative Literature with an emphasis in French from the University of California Santa Barbara. Timothy Accurso joined the Opera Santa Barbara team in September 2018. Tim has been on music staff with Palm Beach Opera, Opera Saratoga, and the Seagle Music Colony. Originally from Glen Lyon, Pennsylvania, he completed his undergraduate studies at Susquehanna University in vocal and piano performance. To further his studies in opera, Tim received a Masters of Music in vocal coaching and accompanying from the University of Illinois at Urbana-Champaign, where he studied with Dr. Julie Jordan Gunn. Following his studies, Tim became a resident artist with Utah Opera as well as a young artist with Opera Saratoga, where he now spends his summers on staff. Tim spends his time coaching the Chrisman Studio artists, engaging in the education initiatives of Opera Santa Barbara, playing mainstage rehearsals, and performing throughout the community in recitals and events with the company. Brian Hotchkin is a baritone, vocal instructor, stage director and arts administrator based in Santa Barbara, CA. 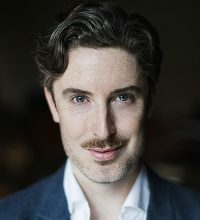 Prior to his career in arts administration, Brian performed opera and music theater with companies including Virginia Opera, Opera New Jersey, Opera Santa Barbara, Chamber Opera Chicago, and the Aspen Music Festival. Brian began his association with Opera Santa Barbara as a studio artist, singing Papageno in The Magic Flute. He went on to serve as Company Manager and Artistic Administrator for the company. He was chosen to participate in Opera America's Leadership Intensive. Brian is an experienced voice teacher and vocal coach with a private studio in Santa Barbara. He is also an adjunct voice faculty member at Ventura College and prior to that, was on the voice faculty at Resound Northwest in Portland, OR. As a stage director, Brian has led productions of Adam Guettel’s The Light in the Piazza and Sweeney Todd for Ventura College. Brian holds degrees from DePaul University and the Chicago College of Performing Arts at Roosevelt University. 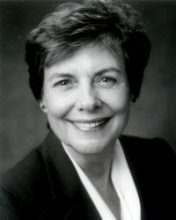 Joan Rutkowski joined the Board in 2008 after having served as Artistic Administrator for Opera Santa Barbara (2000-2008). 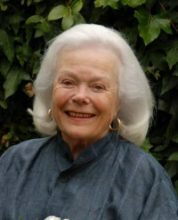 She was a founding member of the Board of Directors of The Granada Theatre, and served on the boards of the Santa Barbara Symphony, Music Academy of the West and the Ojai Festival. For 18 years she was Executive Director of Esperia Foundation. She had a distinguished career as an opera singer and vocal teacher/coach and has given masterclasses in the US, China and Taiwan. She holds a M.M. in Opera Performance from USC and as a grand finalist in the San Francisco Opera auditions, was a member of the Merola Program of the San Francisco Opera. Jon has enjoyed the passion of opera for many years and became an enthusiastic member of the Board in 2013, championing a variety of important efforts. 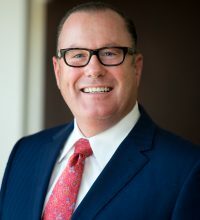 He has a Juris Doctorate degree from the Santa Barbara College of Law, is a licensed International Financial Analyst, holds several Portfolio Management designations and leads an investment management group at Alex Brown in Los Angeles. Jon serves on Opera Santa Barbara's Executive and Education Committees as well as being a trustee for the Art Foundation of Santa Barbara, on the Board of the Santa Barbara Center for the Performing Arts and on the Advisory Council of the United Way’s United for Literacy. Born in San Francisco, Mr. Hone completed his undergraduate studies at UC Berkeley before earning a master’s degree and a doctorate in physics at the University of Illinois. He joined the faculty at UC Santa Barbara in 1968 after completing a postdoctoral fellowship at École Normale Supérieure in Paris and serving as an assistant professor at the University of Pennsylvania. He has also held temporary academic appointments at the University of Paris, Oxford University, and Tokyo University. Among other administrative posts at UC Santa Barbara, he has served as Physics Department chairman, deputy director of the Institute for Theoretical Physics, and associate dean of the College of Letters and Science. Mr. Hone has been a Board director for Camerata Pacifica, Planned Parenthood, and Ensemble Theatre. Born in Macon, Georgia, Ms. Dorra grew up in Texas and earned a degree in philosophy at Vassar College. Following teaching stints in Costa Rica and Uruguay she spent three years in Italy, first studying at the University of Florence and then working as a research reporter in Time Life's Rome bureau, writing about art, fashion, and film. She went on to serve as an assistant accessories editor at Harper's Bazaar and as assistant director of fashion publicity and promotion at Revlon, both in New York, and as director of special events at the May Company in Los Angeles before working as a freelance writer for Mattel. After earning a master's degree in, and teaching Italian at UCLA, she taught at UCSB. 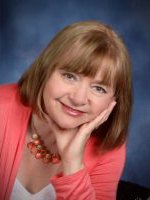 Ms. Dorra has lectured extensively on gardens and travel, and her articles have appeared in such publications as Gourmet Magazine, The New York Times, Elle Decor, the Los Angeles Times, and Travel + Leisure. She has authored three books, Beautiful American Gardens and Beautiful American Rose Gardens, published by Clarkson Potter, and the historical novel Demeter's Choice: A Portrait of My Grandmother as a Young Artist. A former Board member for the UCSB Art Affiliates, Ms. Dorra currently serves as Board secretary for the Santa Barbara Center for the Performing Arts. Her local nonprofit efforts also have included the Santa Barbara Museum of Art, the Garden Club of Santa Barbara, Planned Parenthood, the Music Academy of the West, the Santa Barbara Symphony, and Ensemble Theatre Company. Rodney Baker, a Santa Barbara native, worked at Cox Communications for 30 years from 1980 – 2010, ending as the Chief Engineer. Since his retirement in 2010, Mr. Baker has become the President and Director of Projects for the Santa Barbara Courthouse Docent Council. In this capacity, he has directed the restoration of the courthouse lamps, was project manager for the restoration of the Bisno-Schall Clock Gallery and assistant project manager for the restoration of the Spirit of the Ocean fountain. Mr. Baker has also supported numerous other local non-profit organizations including the United Way, Pearl Chase Society, Unity Shoppe and the Dream Foundation. He has also performed as a supernumerary in several Opera SB productions and has performed in several productions at the Circle Bar B. 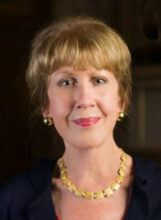 After beginning her legal career as a prosecutor in San Diego, Ms. Brittain was a partner in Santa Barbara-based Ambrecht & Brittain for nearly 10 years before practicing with the international law firm Withers in London and Hong Kong, where she was primarily involved in international cross-border planning for large global families. Prior to joining Northern Trust in 2012, Ms. Brittain served as counsel at McKenna, Long & Aldridge in Los Angeles, where she focused on domestic and international estate and tax planning. At Northern Trust, she collaborates with clients and their counsel on estate planning strategies, including fiduciary and tax issues stemming from trust administration. She speaks nationally on cross-border planning. 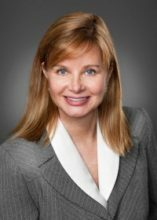 Ms. Brittain is a member of the Estate and Trust Committee and the Tax Committee of the California State Bar Association, as well as the Los Angeles chapter of the Society of Trust and Estate Practitioners. She served as president of the Ventura Estate Planning Council in 2007, and is currently a co-chair of the Tax Committee for the Santa Barbara County Bar Association. 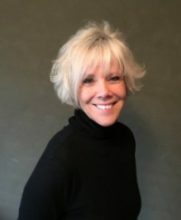 Barbara Burger has enjoyed a long career in public relations and marketing primarily in the performing arts, serving the Santa Barbara Symphony as both Marketing Director and Education Coordinator for many years, and as a marketing consultant for State Street Ballet among other arts organizations. She founded and chaired a citywide alliance of performing arts professionals and is currently president of the Music and Arts Conservatory. Barbara has served on the City Arts Advisory Committee, the County Arts Commission and is a past-vice president the Downtown Organization, for whom she developed the first Downtown Organization Map for tourists now in its 6th edition with a printing of 100,000. She has a BA from Eastern University in Anthropology/Sociology and Masters in Public Service Management from University of Redlands, CA. retirement. The company went public in 1985 and has been listed on the NYSE since 1987.
and an MBA in Finance from UC Berkeley. 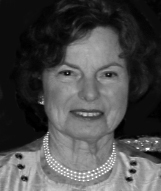 Katharine Schlinger Foundation and trustee of the Schlinger Chrisman Foundation. Roger and Sarah moved to Santa Barbara with their daughter in 1999. Herbert J. Kendall is a retired builder and community developer from Princeton, N.J. For over forty years he concentrated on environmentally sound projects. His most notable is Twin Rivers in New Jersey. This PUD consisting of 3,000 families included 200 acres of office, industrial and recreational use. Mr. Kendall’s community affiliations included Development Chair and Board Vice Chair of the Princeton Day Schools, which he built in 1965. His affiliations in California began with the development of South Coast Repertory Theatre, which is the leading regional theatre in Southern California. He continued by establishing and serving as President of the Santa Monica Arts Commission from 1983 – 1993. In Santa Barbara, Mr. Kendall was a member of the SB Museum of Art and was partly responsible for the design and construction of its addition. He has been a member of the CAMA board for several years and served as its president from 2000 – 2003. He has also been a member of the boards of Casa Dorinda Board and the State Street Ballet. In 2003, Mr. Kendall and his wife Elaine created the Victoria Hall Theatre where they produced several plays, some of which were written by Elaine. Mr. Kendall’s latest interests include the Bren School at UCSB and the Nuclear Age Peace Foundation. He has recently relocated to Birnum Wood where he has begun a new challenge: playing golf, where he is the oldest pupil. 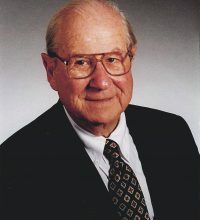 Professor Emeritus in the Chemical Engineering Department at UCSB, Duncan Mellichamp earned his Ph.D. in Chemical Engineering from Purdue University. He was a founding faculty member of his department at UCSB where he has enjoyed a 40-plus year career. 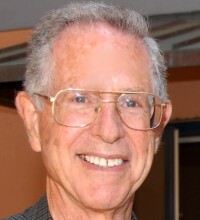 He and his wife Suzanne, were awarded the Santa Barbara Medal in 2007, UCSB's highest award, in recognition for their philanthropy and service to the university. A.C. Moore is Chief Investment Strategist for Dunvegan Associates, Inc and has over 30 years of Wall Street experience as a securities analyst, research director and portfolio manager. He was a consultant to the Council of Economic Advisors during two presidential administrations and is among the top most-quoted market strategists in the country and a frequent guest on CNBC, CNN and other media outlets. He holds a Bachelor of Arts in Finance from Wake Forest University and a JD from the University of North Carolina, Chapel Hill School of Law. 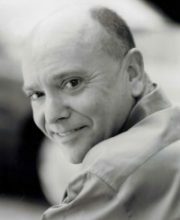 He has served on the boards of the Santa Barbara Symphony, the Symphony Endowment Trust and the Council on Alcoholism and Drug Abuse (CADA). Dan Reicker is a principal in Reicker, Clough, Pfau, McRoy and Herman LLP. 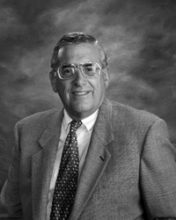 He has practiced business law in Santa Barbara since 1972 with an emphasis in real estate, tax, corporate securities, mergers and acquisitions. He earned his Bachelors Degree from the University of San Francisco, and a J.D. at Hastings College of Law, University of California. He was admitted to the Bar in California and Washington, D.C. Dan has previously served on the opera's Finance Committee and been a member of the board for the past ten years. Born in Avalon, Catalina Island, Mr. Small completed his undergraduate studies at UCLA before earning a master’s degree at Otis Institute. Diagnosed with multiple sclerosis at age 22, he soon became a serious student of Iyengar Yoga, and went on to study with the discipline’s founder, B.K.S. Iyengar, in Pune, India. Mr. Small frequently conducts therapeutic yoga workshops and seminars throughout the United States. Through his Stress Control Systems Trust, based in Montecito, he creates programs specifically for clients diagnosed with multiple sclerosis and other neurological conditions. He was inducted into the National Multiple Sclerosis Society Volunteer Hall of Fame in 2001. Mr. Small currently serves on the Board of Directors for USC, the Doheny Eye Institute, the Los Angeles Opera, and the Los Angeles Philharmonic. 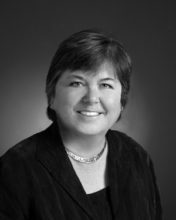 Sandra Urquhart has been very active on the OSB Board serving as both Secretary and as a recent past Board President. She graduated from Good Samaritan Hospital School of Nursing in Ohio and most recently worked as an RN teaching and specializing in cardiology and cardiac angiography at Cottage Hospital. Dr. Weinman earned a bachelor’s degree in engineering physics at Cornell University and a Ph.D. in theoretical physics at Caltech before pursuing postdoctoral studies in elementary particle theory at Tel Aviv University. He spent his entire career at Northrop, joining the company as a research scientist and later serving as a section manager for the MX missile program. Dr. Weinman was awarded consecutive National Science Foundation and Westinghouse fellowships in the early to mid-1960s. Formerly a Board member for the Music Academy of the West and Long Beach Opera, he has also generously supported Camerata Pacifica, UCSB Arts & Lectures, Opera Santa Barbara, the Los Angeles Opera, the Museum of Contemporary Art (Los Angeles), the Metropolitan Opera, and the Whitney Museum. He currently serves on the Santa Barbara Symphony Board of Directors. Simon Williams, is Professor and Chair, Department of Theatre and Dance at UCSB where he has taught for more than 25 years. Educated in his native England, Dr. Williams holds a doctorate in European Literature. He has served on the OSB Board for the past four years, and currently chairs the Artistic Planning Committee. He is familiar to opera patrons as a frequent lecturer for OSB's Opera on the Go series and for the pre-opera talks prior to all OSB productions. 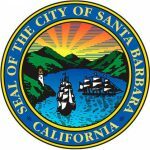 Joann Younger, a successful entrepreneur whose ventures have included popular women's clothing stores in Santa Barbara and Sacramento, has been elected to the Board of Directors for Opera Santa Barbara. Her three-year term began in January. A native of Dallas, Ms. Younger founded a development firm in Sacramento in the 1960s before turning her attention to women's fashion, opening the juniors store Sacks Howe Avenue in 1975 and later the boutique Chantilly Lace, both in Sacramento. She currently owns Renaissance Fine Consignment, which has locations in Santa Barbara and Sacramento. "Joann is a self-made businesswoman whose keen instincts and moxie are certain to prove invaluable as we embark on an exciting new era at Opera Santa Barbara," said Joan Rutkowski, immediate past chair of the company's Board of Directors and current chair of its Governance Committee. "Given her impressive record of accomplishment and her infectious enthusiasm, we expect her contributions to our organization to be both substantial and of lasting significance." 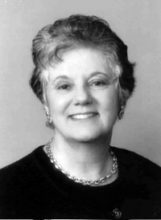 Marlyn Bernstein moved to Santa Barbara in 1976, at which time she became involved in her synagogue and has served twice as their president in her twenty-nine years on the Board of Trustees. She is a member of Hadassah, also serving twice as president. 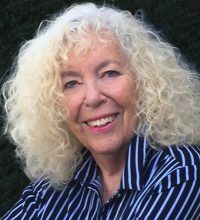 In addition to her service as a Director on the Opera Santa Barbara Board, Marlyn is a member of the board of the Lobero Theater, the Santa Barbara Symphony and Boxtales Theater Co. Marlyn formerly taught Porcelain Art in the Santa Barbara City College Adult Education Division and is a member of both the Santa Barbara Porcelain Artists and Santa Barbara Art Association. Among her great passions are books, jazz, opera, theater, classical music and her nine grandchildren. 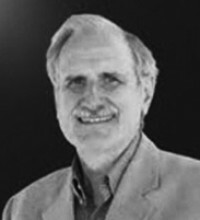 Roger H. Davidson is Professor Emeritus of Government and Politics at the University of Maryland, College Park, and Visiting Professor of Political Science at the University of California, Santa Barbara. From 1980 to 1988 he held the post of Senior Specialist in American National Government and Public Administration with the Congressional Research Service, U.S. Library of Congress. He is a Fellow of the National Academy of Public Administration. Born in Washington, DC, and raised in Fort Collins, CO, Dr. Davidson attended the University of Colorado and received his Ph.D from Columbia University. He began his teaching career at Dartmouth College, moving to the University of California, Santa Barbara (1968-1980), where he served as chairman of the political science department and associate dean of Letters and Science. 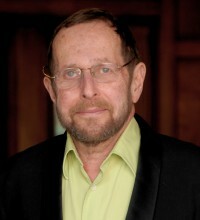 He has been a visiting professor at Johns Hopkins, Georgetown, American, and George Washington universities, and has lectured or conducted seminars on U.S. politics and policy making throughout this country and in Europe, South America, Africa, India, Japan, Australia, New Zealand, and other South Pacific countries. In 2002 he was John Marshall Professor at the University of Debrecen, Hungary, awarded by the Hungarian Fulbright Commission. He was named Visiting Distinguished Political Scientist at Santa Barbara City College in 2005-2006. 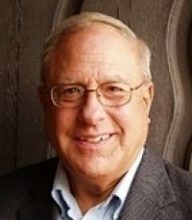 Dr. Davidson is listed in Who’s Who in America. Dr. Davidson’s musical interests began early. In his youth he took piano lessons and sang in high school and university choirs. His passion for opera (and Broadway musicals) blossomed during his years in New York City as a graduate student at Columbia University—hearing legendary singers at the old (and new) Metropolitan Opera House. In Washington, DC, he subscribed to the Washington National Opera; he has attended many opera performances in the US and abroad. Dr. Davidson is co-chair of the UCSB Affiliates, board member of the Architectural Foundation of Santa Barbara, and a docent for both the Architectural Foundation and the Santa Barbara Historical Society. He and his wife Nancy subscribe to and support OSB, Santa Barbara Symphony, Camerata Pacifica, UCSB’s Arts and Lectures series, and CAMA. They are members of the Council of Contributors of the Music Academy of the West and especially follow their vocal music program. Dr. Davidson serves on MAW’s Advancement Committee. Nancy Golden is the principal of Golden Direct, a direct mail consulting service provider to environmental, performing arts, human services organizations and museums. Previously, she held a variety of marketing positions at Time, Inc. for 21 years. Golden is a graduate of Russell Sage College with a degree in English Literature. She previously served as a board member from 1999-2002 and as Marketing Committee member since 1999. She currrently chairs the Marketing Committee and serves on the Executive and Development Committees. Martin Moskovits has degrees in Physics and Chemistry from the University of Toronto. 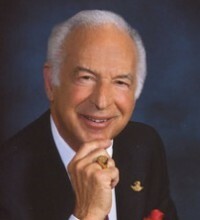 He co-founded OHM Distributers and manufacturers Ltd., an electronics company in Toronto in 1966 which was sold in 1969. He returned to the University of Toronto to complete a PhD in chemical physics (1971). From 1971-73 he was employed as a materials scientist by Alcan Research and Development in Kingston Ontario. He returned to take up a faculty position in the department of chemistry at the University of Toronto. Promoted to professor in 1982, he was Chair of that department (1993-1999). In 2000 he moved to Santa Barbara to serve as as Worster Dean of Science at UC Santa Barbara. From 2007-2010 he was Chief Technology Officer of API Technologies in NY; and from 2011-2012 Provost at the City College of New York. In 2008 he co-founded Spectra Fluidics, a company that combines SERS with microfluidics to develop high-sensitivity molecular sensing. Moskovits is Fellow of the American Association for the Advancement of Science; Fellow of the Optical Society of America; Fellow of the Royal Society of Canada; former member, and past Vice Chair of the US Department of Energy’s Basic Energy Sciences Advisory Committee 2001-2010. 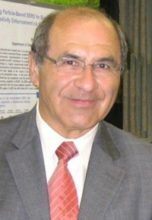 He was Guggenheim Fellow in 1987; 1993 Gerhard Herzberg Award of the Spectroscopy Society of Canada; 1993 Royal Society of Chemistry (London) award in Surface and Colloid Science; 1995 Johannes Marcus Marci Medal of the Czech Spectroscopy Society; 2008 NanoTech Briefs, Nano 50 Innovator award; 2010 Ellis Lippincott Award of the Optical Society of America. Eric Oltmann is a retired Navy pilot and engineer. In addition to the Opera Board, he serves as President of the Ventura Music Festival. He serves on the Development and Marketing Committees. In addition to his musical interests, he is an avid collector and has been involved in wildlife conservation. Mary has been involved with Opera Santa Barbara's Board of Directors since its beginning, having served as Vice President, Treasurer, and currently as Secretary. She also sits on the Architectural, Development and Finance Committees, as well as chairing the Human Resources Committee. She retired from her position as CEO of the American Red Cross, Santa Barbara County Chapter following a career of more than 35 years. 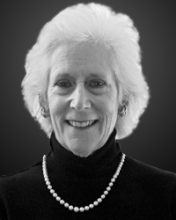 She has served on numerous local and national Boards, including the University Club, Woman's Club, American Women for International Understanding, SB Committee on Foreign Relations, American Red Cross Retiree Council, and Santa Barbara Associates. Mary graduated from California State University with a degree in Liberal Arts. 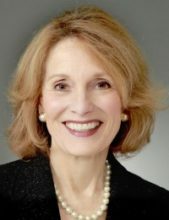 Ida Rickborn has served as Secretary and Education Committee (Chair), Finance Committee and Executive Committee during her four-year tenure on the OSB Board. Prior to her retirement from a distinguished teaching career, she served a four-year term as Superintendent of the Goleta Union School District. Her undergraduate and graduate degrees are from the University of California (UCLA and UCSB respectively). Jean Rogers has been a full-time resident of Santa Barbara since 2009 when she moved from Dallas, Texas where she raised five children. Her late husband J. Ben Rogers, Jr. was an entrepreneur in real estate, vintage automobiles, and a chain of barbecue restaurants. Ms. Rogers earned her Bachelor’s Degree in Business Administration from Southern Methodist University in 1985. She has professional experience in sales in the fashion industry as well as residential real estate. She is active in the Santa Barbara Women’s Club, Little Town Club, Birnam Wood Golf Club and Santa Barbara Museum of Art. She also serves as a council member at the Music Academy of the West. In addition to opera, Jean enjoys bridge and tennis.